July 5 is celebrated as the professional holiday of the Ministry of Interior. 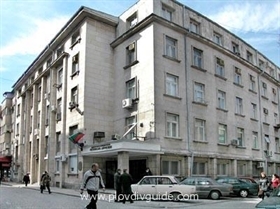 This is one of the first Bulgarian ministries established after the Liberation of Bulgaria and restoring of the Bulgarian system of state. The building of the police structure in Bulgaria started after passing the Tarnovo Constitution – April 16, 1879. By Decree No. 1 of 5 July 1879 issued by Prince Alexander I, the Ministry of Internal Affairs was set up as part of the first Bulgarian government. Mr. Todor Bourmov was appointed the first Bulgarian Minister of Interior. The Ministry’s main areas of activity were as follows: internal affairs and administration, public health, veterinary control, posts and telegraphs management. Police functions were carried out by the administration and police department of the Ministry of Interior and the institutions related to it. Initially the Ministry was entrusted with tasks that were not inherent to it, such as: veterinary control (until 1893); posts management (until 1882) and public affairs (until 1885). Today the structure of MoI includes the following national services: National Security Service; National Police Service; and National Fire Safety and Protection of Population Service. ??????????? ?? ?????????????? ??????? ? Educational Establishments, Science Institutes - Academy of the Ministry of Interior; Computer Technologies Institute; Special Technology Institute; Research Institute for Forensic Science and Criminology; MoI Psychology Institute; and MoI Medical Institute.